Pumping liquids is a demanding task. When selecting and dimensioning a three screw pump, the pumped liquid, the operating conditions, the installation site as well as the standards, guidelines and directives have to be taken into consideration. A wealth of knowledge is required in order to avoid errors. 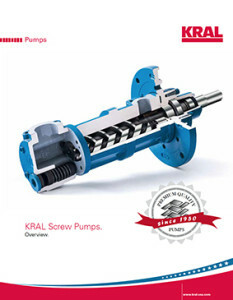 KRAL three screw pumps have existed since 1950. The acquired experience is passed on from generation to generation and extended continuously. 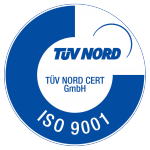 Thus ensuring employees with excellent knowledge and further training. Our customers profit from our advisory skills. Space for setting up or installing three screw pumps is expensive or often short. KRAL three screw pumps offer high delivery rates at small space requirements in comparison to other pump types. The delivery rate of a three screw pump depends strongly on the speed. If the delivery rate has to be varied, a controller has to change the rotational speed. The complexity of the controller design depends on the delivery rate characteristics of the screw pump. 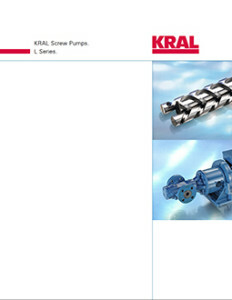 In contrast to many other functional principles, KRAL three screw pumps have linear delivery rate characteristics. Therefore they can be controlled simply and inexpensively by means of a frequency converter. Pressure pulsations of the liquid can damage the three screw pump, the system and the pumped liquid. The strength of the pulsation depends on the functional principle of the pump. Piston and gear pumps cause considerably more pulsations than a three screw pump. 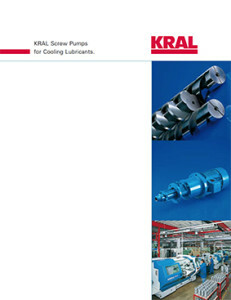 KRAL three screw pumps feed product-conservingly. The pumped liquid is not pressed, there are no pressure pulses that can damage the piping and other components or trigger vibrations. 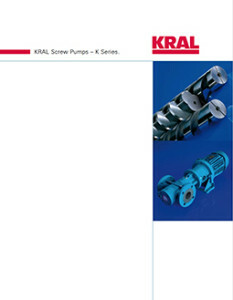 In addition, KRAL three screw pumps are very quiet. Three Screw Pumps – KF flange three screw pump. The KF flange three screw pump is the universal pump for horizontal installation. 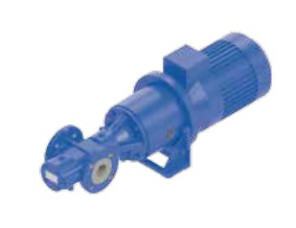 Three Screw Pumps – KH foot three screw pump. KH foot three screw pump – mounted onto base frames. 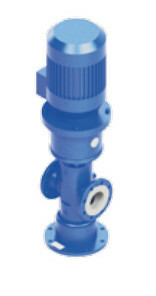 Three Screw Pumps – KV pedestal three screw pump. The KV pedestal three screw pump is the right choice if the installation area is narrow or if there is not enough available space for large pumps. 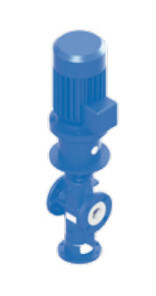 KFT three screw pumps have overhead DIN PN16 flanges for horizontal or vertical installation. LFI flange three screw pump. The LFI flange three screw pump is the universal pump for horizontal installation. LFT three screw pumps have overhead DIN flanges for horizontal installation. LVI pedestal three screw pump. The LVI pedestal three screw pump is the right choice if the installation area is narrow or if there is not enough available space for large pumps. LVT pedestal three screw pump. Space saving LVT pedestal three screw pumps are for vertical installation. Flange three screw pump CGF. The flange three screw pump CGF is the universal pump for horizontal installation. Three screw pump CGH – mounted onto base frames. 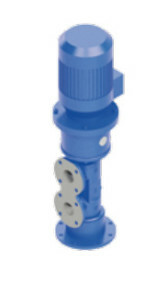 CG pedestal three screw pump. 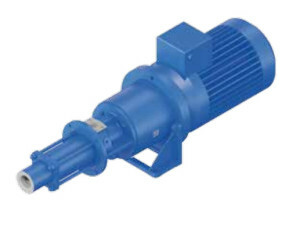 Space saving CG pedestal three screw pumps are for vertical installation. In-tank CK/CL three screw pump. 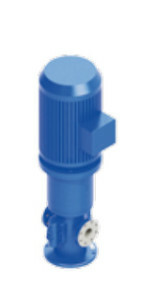 CK/CL three screw pumps are suitable for in-tank installation. CK/CL flange three screw pump. The CK/CL flange three screw pump line – universal horizontal installation pumps. W flange three screw pump. 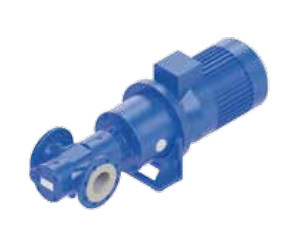 The W flange three screw pump is the universal pump for horizontal installation. In-tank W three screw pump. In-tank W three screw pumps are for in tank installation. Pressure port outside of the tank. 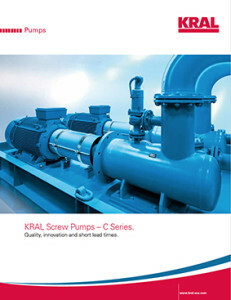 If you would like to know more about KRAL PUMPS Series W, download the brochure. KF flange three screw pump with magnetic coupling. 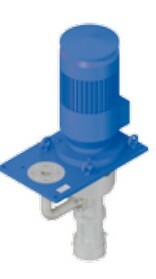 KV pedestal three screw pump with magnetic coupling. 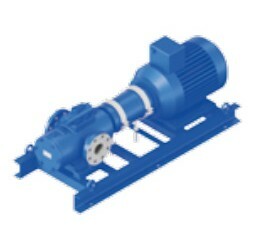 KFT three screw pump with magnetic coupling. 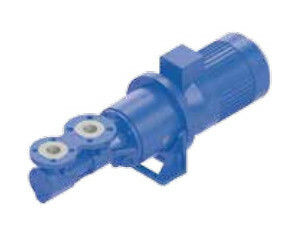 LFT three screw pump with magnetic coupling. LVI pedestal three screw pump with magnetic coupling. 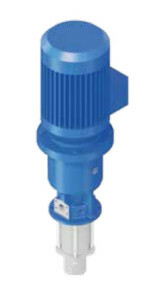 LVT pedestal three screw pump with magnetic coupling. LFI flange three screw pump with magnetic coupling. 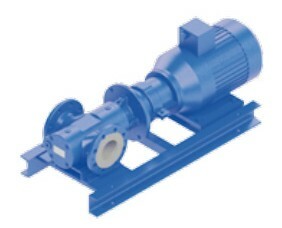 Flange three screw pump CGF with magnetic coupling. 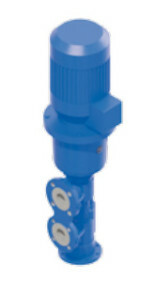 CG pedestal three screw pump with magnetic coupling. 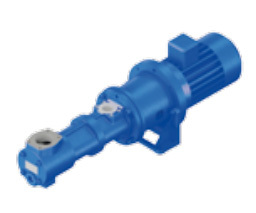 CL flange three screw pump with magnetic coupling. The CL flange three screw pump line – universal horizontal installation pumps. If you would like to know more about KRAL PUMPS Magnetic Coupling, download the brochure.